DNA Frosty Fish Fibre is a translucent, helical fibre that changes hue, and depth of tone as it moves through light. This is a mimic of natural light hitting bait fish. Frosty Fish Fibre has an incredible life like quality that effectively reflects the tonal changes of the real thing. Angel Hair is a very fine Mylar type material that is packaged in hanks. This is a fusion of the extremely popular Mirror Image fibre blended together with Super UV Flash. 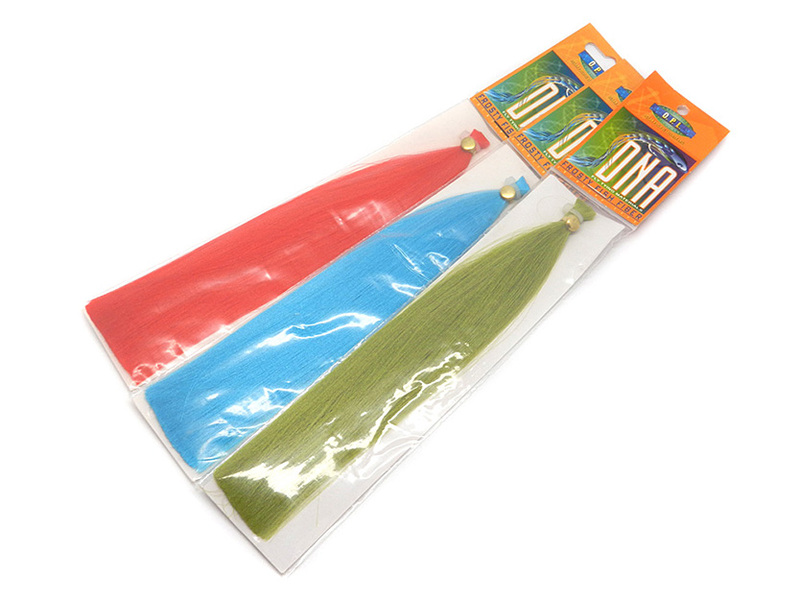 FAP ( Flash Attack Products ) Pulse Wing is the perfect answer to pike and saltwater flies. Used across the USA this material is in big demand. Gliss n Glow is cut finer than most flash type materials, its iridescent flash that attracts like no other.